Freelance writer of books: Author, "Geckos: Day Geckos, Tokay Geckos plus New Caledonians and More!" AVS Publications, August, 2006. Co-author, "Leopard Geckos: A complete guide to Eublepharine Geckos" TFH Publications, 2006. 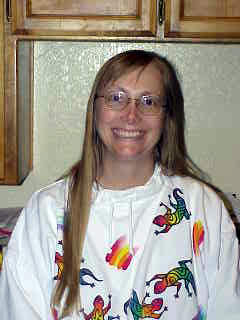 IRBA San Diego show contest winner: my geckos placed first and second in the leopard gecko category, 1999, in 2000 a 1-2-3 sweep! Featured in March 1997 Breeder Profile of Reptile Hobbyist. Available for speaking engagements. I have power point presentations and slide shows of my gecko collection and have spoken at numerous herp societies the last 20 years. Gecko Ranch Geckos have been placed at such prestigous zoological facilities as the New York Hall of Science, the San Antonio Zoo, the Dallas-Fort Worth Zoo, the San Francisco Conservatory of Flowers and the Palm Springs Living Desert Museum. Many reputable gecko breeders also rely on Julie for fine captive bred geckos and husbandry advice. Gecko Ranch featured in Reptiles Magazine March 2003 issue, Living Vivarium Column, page 90! This month's column is about the Special Demonstration Tropical Rainforest Vivarium Exhibit at the 2002 National Reptile Breeders Expo. Other businesses featuring naturalistic vivaria, related products and reptiles also donated to the cause, which was the Turtle Survival Alliance. The terrarium was auctioned for more than $1,000. 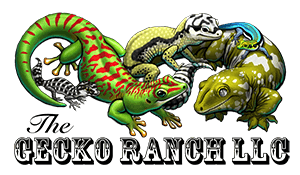 The Official Gecko Caretaker of Gecko Ranch is Julie Bergman. The Official Gecko Ranch Veterinary Clinic is the North Carolina State University Veterinary Health Complex at the College of Veterinary Medicine.